Onsen is a Japanese hot spring that many locals visit and bathe in as it contains rich natural minerals that are beneficial for health, and could be one of the reasons why Japanese people tend live a long and healthy life! When in Japan, you should definitely add this activity to your to-do list. However, some onsen may be mixed-gender, or require you to be completely naked when soaking in the pool. Post-onsen, you may also be hungry! To guide you on your next travel, we’ve compiled some Muslim-friendly onsen that are gender-segregated or/and have Muslim-friendly meals for your next trip to the land of the rising sun! 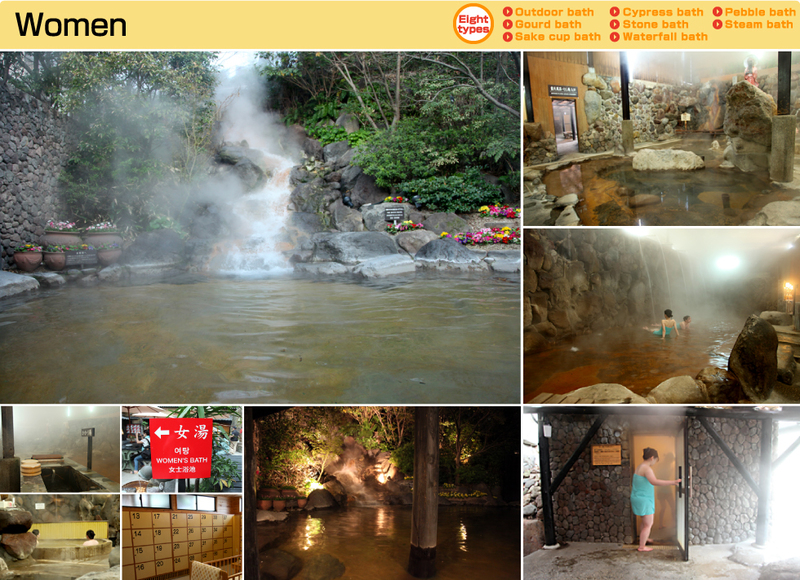 The Hyotan Hot Springs in Japan was awarded 3 Stars by the Michelin Guide Book, so prepare to pamper your body in a authentic-style gender-separated onsen. This onsen provides private and public baths to suit singles, couples and families. Don’t forget to book ahead and request for a Halal meal as they can cater for Muslims. They’ve got you covered from seafoods to poultry. The Kinugawa Park Hotel provides indoor and outdoor hot springs, gender-separated baths AND private bath rooms. Remember to book in advance for the private bath if you wish to share the experience with your partner, family or friends. Don’t forget to request for vegetarian meals or Muslim-friendly meals. This onsen also provides a prayer room for those who wish to pray before or after your onsen experience. Otaru Kourakuen claims that bathing in their hot spring water will give you “lustrous skin”, as their water has a higher alkaline quality compared to other onsen. This onsen rotates the onsen timing between male and female so they do not mix. You can also opt for their Private Spa Room, suitable for a family up to 4 people in one room. Do note that this onsen serves Halal meat from Otaru. Just be sure to request in advance during your booking. Relax and enjoy your hot onsen while enjoying a beautiful landscape of Lake Biwa! They have both indoors and outdoors pool are provided for guests. If you prefer to stay inside, opt for one of the 50 private open-air hot spring baths in the room. They also provide Halal dishes, certified Halal by Kyoto Council. Be sure to let them know in advance for bookings. Photo credit: Ooedo Onsen Monogatari Hotels & Resorts Co., Ltd.
Want to experience the one in a lifetime onsen experience with clothes on? We’ve got you covered! *get it lol* The Urayasu Kancho onsen actually requires you to wear swimsuits on! You can also rent your swimsuit here! Men and women are separated here and you can choose from six different types of public to open-air bathing area. If you are a couple looking for privacy, you can also request for their Iseya rooms, which are available to rent by the hour or for overnight stays. Perfect for the newly married couple! These top 5 Muslim-friendly onsen with Muslim-friendly meals do require preparation, so don’t forget to book and inform them in advance. Don’t forget to let us know in your comment below on which onsen you prefer!